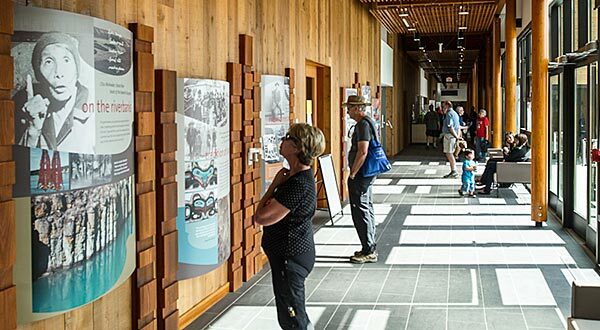 Situated on the banks of the Yukon River, the Cultural Centre is a place where we celebrate the heritage and contemporary way of life of the Kwanlin Dün First Nation people. It is also a gathering place for people of all cultures. If you are looking for a place to host your event, the Kwanlin Dün Cultural Centre is one of the largest meeting facilities in Whitehorse. We offer an ideal and picturesque location suitable for conferences, galas, cultural festivals and memorable weddings.